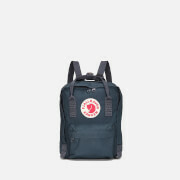 Fjallraven 'Kanken Art Mini' compact backpack. Made from a recycled polyester and organic cotton blend with a durable waxed G-1000 HeavyDuty Eco S finish. 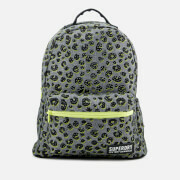 Adjustable shoulder straps and handles on the top. Removable seat pad. Reflective logo on the front. Side pockets. Front zip pocket. Address tag in the main compartment. Dimensions: H: 29cm x W: 20cm x D: 13cm. Handle Drop: 7cm.